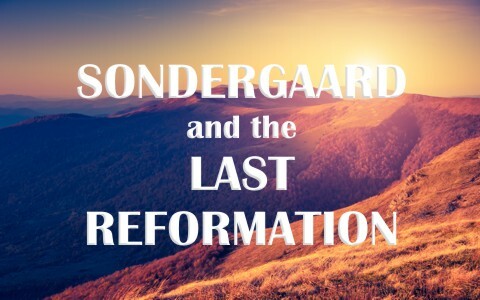 Is Torben Sondergaard And The Last Reformation Biblical? Is the so-called “Last Reformation” biblical? What about the teachings of Torben Sondergaard? Today, there is the New Reformation, the New Apostolic Reformation, and now, the Last Reformation. Which, if any of these, are correct? How can we know if they are true or not? History has shown us that the Protestant Reformation was from God because it restored the “sola scriptura” or “Scripture alone” as the guide for the church and the individual members of the Body of Christ, the church. The Protestant Reformation was a response to the church deviating from the Word being the final authority, to the church being equal to the Bible in authority, but that left the traditions of men steep in hundreds of years of ritual, ceremonies, and services that were not even understood by the member (unless one knew Latin). Torben Sondergaard is a Danish Christian evangelist, author, public speaker, and faith healer who has claimed that God communicated with him directly and told him to write a book and that God would give him a chapter a day. This was the beginning of what would be called, the Last Reformation, as he designated it (or supposedly, God did). The Protestant Reformation was necessary as it restored the church to biblical teaching and preaching, and in a language they could understand, but what about this “Last Reformation.” How does he know this will be the last one? Did God tell Torben Sondergaard something He didn’t tell the rest of us? What is troubling about this movement is that it focuses on the gift and not the Giftgiver. One YouTube headline says “Youth Believer’s Heal the Sick,” when the truth is, only God can heal whomever He wills and not man. I have seen several of Sondergaard’s trainings on healings and pictures of him sitting near someone’s bedside, but Jesus was not like that. He healed people and said, “Tell no man” (Matt 8:4, Mark 7:36), and I doubt He’d have taken a selfie of him and the patient or posted His healings on YouTube. That is to be seen by men, and it is not how God wants us to do our works. They are to be done in secret so God will reward openly, or they can do it openly and they already have their reward (37,000 Likes, 4,329,000 page views). Sondergaard mistakenly calls these healings “fruit” when the fruit God is interested in (and names) is “love, joy, peace, patience, kindness, goodness, faithfulness, gentleness,” and “self-control” (Gal 5:22-23), so I don’t see healing someone as being a fruit, but this is only one of several doctrinal issues. They also train young believers how to heal, but isn’t healing initiated by God and not something you “learn?” What chapter and verse in the Bible teaches how to heal? The Last Reformation Movie is basically a slam on the church of the last 2,000 years, as they say, “if we go back to the gospel, as it was presented in the Book of Acts, we will see the same things happening as in the time of the first disciples,” however, does that mean we’ll see more stoning’s? Will we see more Damascus Road’s? Will we see another “Mar’s Hill?” I know some churches have watered down the gospel and not done what Jesus has commanded them to do, but churches do study the apostles’ doctrine, they do share things in common, and they do fellowship and break bread together, while distributing among members who have little (Acts 2:42-46). That’s the church then and the church now and God gave the increase (Acts 2:27). When I read that Sondergaard believes that salvation is evidenced by the baptism of the Spirit and speaking in tongues, it was enough to know that something was wrong. That is not the evidence of a person’s salvation. As the late Dr. J. Vernon McGee once said, “We can’t see the root, but we can inspect the fruit,” and “Faith is the root of salvation, and works are the fruit of salvation.” Nowhere in the Bible does it say or even insinuate that the evidence of a person’s salvation is speaking in tongues or the baptism of the Spirit. If there’s no fruit of the Spirit, then there’s no root of salvation. I had someone who believed in Torben Sondergaard’s teaching come to our church and ask if he could be trained to heal someone. I told him we have a nursing home ministry and you could come with us as we bring worship services to them. You could pray for them afterward, but we are not to lay hands on someone and try to seek to cure someone. For one thing, it’d be very hard to cure old age. Some of the problems these people have are not illnesses or disease, but old age. This man’s focus was on being trained to heal someone. He wanted to see the same things done that the apostles did in the early church, but I reminded him about Jesus’ warning: “An evil and adulterous generation seeks for a sign, but no sign will be given to it except the sign of Jonah.” So he left them and departed” (Matt 6:14). We are told to seek after His righteousness first and foremost. The focus is always on Christ, not on healing, or speaking in tongues, or trying to raise the dead. I would be very cautious in listening to this “new revelation” about the so-called “Last Reformation.” It just has too many teachings that do not square with Scripture, and so even if there is some truth in it, half the truth is still a whole lie. Jesus said the Holy Spirit came to point us to Christ and testify of Him. He will put the focus on Christ and His Word the Bible. Nothing else even comes close. He must be glorified and not men on YouTube (Psalm 115:1). Becoming more Christ-like and doing what Christ commands seems far more important than healing or tongues. Even the claim to have raised the dead means nothing if that person has not yet been born again, because a healed person will eventually die again, but whomever believes in Christ, even if they die, shall yet live again (John 11:25-26). The more important question when these new believer’s try to heal someone isn’t, “Can we lay hands on you to heal you of (fill in the blank).” The real question is, “Has God ever brought you to repentance after seeing the awfulness of sin? Have you put your trust in Christ?” I doubt very much if they’re waiting for the sick person in the hospital to speak in tongues to show they’re saved (according to them), but to see someone healed or at least believe they are healed, and if they can’t make another movie out of if, at least they can post it on YouTube. Sadly, people come to this group for the wrong reason. They would rather see signs and wonders and “be taught that gift,” than do what Jesus actually commands us to do (Matt 25:34-40, 28:18-20). More reading on a related topic here: How Can We Recognize False Doctrines? I agree that we should be careful with any teaching that isn’t word for word from the bible. Please tell us what isn’t biblical about what Torben is teaching. Jesus said that we should preach the gospel and heal the sick. Torben teaches how to do both. Many people are getting saved and filled with the Holy Spirit through The Last Reformation. In four years I have seen hundreds of people healed and delivered from sin, led several people to Christ, began discipleship with many more. Now I am not afraid to share my faith with anyone, but I do it by praying for them first. Then they feel cared about and are open to hear about Jesus. BTW Just because some people only come to see signs and wonders is a complaint against the people and not against the teaching. Jesus said that signs would and should follow those who believe. Hello Mr. Thatcher. I would give you one but have so many errors that this man teaches, I don’t know where to start. Sondergaard advocates a view known as “restorationism.” This is the belief that the church, after the first century, lost important truths and fell into apostasy. Those lost truths are now being progressively restored by teachers such as Sondergaard. Restorationism is promoted by aberrant groups, such as the New Apostolic Reformation movement, along with cults of Christianity, including Mormons and Jehovah’s Witnesses. “As they ministered to the Lord and fasted, the Holy Spirit said, So, then, separate Barnabas and Saul to Me for the work to which I have called them. Then having fasted and prayed and laid hands on them, they let them go” (Acts 13:2-3 MKJV). No, none of that for Torben and his proselytes. Instead Torben says, “See what the apostles in Acts did? We can do that, too.” He proceeds to use God like a magic genie, offering healings and power in the name of another “Jesus” made in his own image. Torben makes friends for himself and not for the Living Resurrected Lord of all. He is an independent agent creating his own kingdom of the world, presenting it as the Kingdom of God. He and his work are counterfeit. The Cross – Only the Death Sentence Will Avail is lacking. Consider how different Torben’s Jesus is from the Jesus in the Scriptures. The Lord and His apostles never walked up to people and offered to heal them in order to demonstrate the power of God or to prove He loved them. Never; that’s Satan’s approach: False Love – Satan’s Last Stronghold. God’s servants sent forth to minister salvation first preach repentance, the foundation of His Gospel. I was really looking forward to reading your answer to Mr. Thatcher, but it sounded a bit harsh and judgemental. Mr. Sondergaard just spoke out against false spirits and without naming names, many of the people who are leading this NAR movement. He is taking a lot of heat from charismatics as a result. All of it has sent me into deeper research on this movement and the results are chilling to me. I am not a charismatic in the traditional sense, and I find much of the movement very troubling. I have found that Mr. Sondergaard is very different in what he teaches. He leads with repentance first and foremost, then baptism and the holy spirit. The whole healing thing is meant more as a way to preach the gospel, as the gospel is the key. I keep researching and am looking for thoughtful biblical analysis on specifically what Sondergaard teaches. But everywhere I go, it seems the people speaking haven’t really studied him or listened to what he preaches. I would encourage you to be slower to criticize in your tone. People are reading and researching and listening and I think you have some good things to share. I’d love to hear more scripture dealing specifically with what is wrong with sharing the gospel of repentance, baptism, and filling of the Holy Spirit, as well as scripture on what the Bible teaches about healing. Thanks in advance. Thank you Jennifer. As far as healing goes, the Apostle Paul had a thorn in the “flesh” meaning his body, and Timothy had stomach problems, and two of Paul’s friends nearly died, so were these men lacking in faith just because they were not healed? The gospel Jesus Christ brought was repentance and belief (Mark 1:14-15), and what I find different is Jesus always told others to tell no one when they were healed, but Mr. Sondergaard uses this in his videos. Healing is not the gospel…the greatest healing is being born again. Biblically, there are major problems with the New Apostolic Reformation of which this man is associated. Claiming that Christians have access to certain spiritual gifts is one thing, but their distinctive approach to the role of apostles and prophets is a stretch from what is found in the Bible. More to the point, the office of apostle requires traits which are impossible today. For example, true apostles must be personal eyewitnesses of the risen Christ (1 Corinthians 9:1; 15:7–8), specifically designated as apostles by Jesus (Galatians 1:1; Acts 1:2; Luke 6:13), and already verified by miraculous signs (Matthew 10:1; 2 Corinthians 12:2; Acts 5:12). The idea of new revelations from God, especially those that come in the form of vague, easily reinterpreted mysteries, runs counter to the idea of a faith delivered “once for all” to mankind (Jude 1:3). The fact that New Apostolic Reformation prophecies frequently turn out to be false suggests a false spirit behind those predictions (Deuteronomy 18:22). The same holds true for miracles: the ideological father of the movement, C. Peter Wagner, decreed the end of European Mad Cow disease in 2001—and the disease is still being diagnosed and treated some fourteen years later. The tendency of the New Apostolic Reformation to treat spiritual warfare as a type of Christianized voodoo is not only unbiblical, but dangerous. Likewise, the emphasis on an earthly kingdom contradicts Jesus’ own declaration that the Kingdom of God was spiritual, not political (John 18:36). It places an unhealthy emphasis on political and worldly approval, rather than Christlike influence. Though it uses the word new, the New Apostolic Reformation is actually a reworking of a very common, very old approach. Since the beginning of Christianity, various groups have claimed to have a “new revelation” from God to correct all of the errors of the present world. These movements contend that “real” spirituality or maturity or truth is found only by those who listen to their leadership. Some of these sects, such as the Jehovah’s Witnesses and Mormonism, endure and become religions in their own right. Others fade away. Much of what the New Apostolic Reformation teaches has at least some basis in Scripture, albeit carried much further than the Bible intends. That, however, still makes those doctrines unbiblical, and Christians should flatly reject the New Apostolic Reformation’s teachings and those who choose to be associated with it. Hello Lynn. I am not criticizing anyone but placing this man’s teaching against what Scripture say. This man and his organization claims to offer healing classes. Really? Where is that in the Bible? I know of one similar group like the Last Reformation group does that actually teaches people how to heal. The class is so popular, there is a waiting list. The students come to this class to learn how to perform miracles, particularly healing. They even say that with enough faith, it’s possible for someone to raise the dead. Of course God can and is still doing miracles today, but as for “healing lessons,” I couldn’t find even one in the Bible, nor were there “three easy steps” you could follow to raise the dead, but what’s missing in these classes and the syllabi? It is the fact that no human has ever miraculously healed anyone….ever! That’s because it is God alone Who does the healing. Of course, God works through people, not people acting as God through themselves. Either God decides to heal someone or He doesn’t. Most people don’t understand that God can and often does use suffering in His purposes for us. The point is, when God heals, He doesn’t splatter it across cable news networks or tabloids. When Jesus healed people, He often told them to go and tell no one (Matt 8:4). When the crowds got too large, what did Jesus do? Did He start having healing miracle services? No, but rather He would leave the area. The Jews once came to Jesus seeking for a sign, but Jesus rebuked them sharply, saying, “An evil and adulterous generation seeks for a sign, but no sign will be given to it except the sign of Jonah.” So he left them and departed” (Matt 16:4). There was His chance. He could have drawn thousands to Himself by displaying powerful miracles on the spot. He could have because He is God, but that would have drawn people for the wrong reason. They should be focused on repentance and faith, which is just what Jesus said the gospel is (Mark 1:14-15). That’s why it’s wrong for churches to seek crowds by announcing that they’ll be having “healing services” and that “Brother Bob” is will be laying his hands on anyone who is sick. But wait! What if it’s not God’s will to heal someone, like with Paul and Timothy? God intended Paul’s thorn in the flesh to keep him humble, so have these churches even considered God’s will in all this? When the crowds began to grow, Jesus would often do what it says in Scripture, “So he left them and departed” (Matt 16:4b), but at some churches, when the crowds grow, they’re only getting started. And what are signs and wonders compared to someone trusting in Christ and receiving eternal life? Which is greater? A miracle healing or having someone be regenerated by the Holy Spirit and being born again? You know. I can see your desire for the Truth, and for people to be protected against false teachers who would lead Christ’s church astray. But with all due respect as a teacher of the Word, from watching Torben’s videos, I find that he does in fact always point people towards repentance through Christ. I find what he is doing is incredibly biblical. In Acts 3 Peter and John boldly proclaim healing to the lame man in Jesus’ name. “what I have I give you,” says Peter. The man is healed (by Jesus), which leads him to run praising God. It’s really that simple. If anything, we see the biblical pattern of a miraculous sign accompanied by a call to repentance repeated with what Torben is doing in his videos. The same healing in Acts 3 opened the door for Peter to give a call to his fellow Israelites to repent, to turn to God so that their sins would be “wiped out.” This is often the case with what Torben is doing – healings happen first (like in Acts 3) – which give him opportunity to share the gospel of Jesus. If someone didn’t write down what Jesus did, if Luke didn’t take account of the Acts of the Apostles, then how would we have scripture to rely on? These videographers are simply taking an account of what is happening. I don’t think they’re adding some false teaching into the church. If anything, they are continuing in the pattern of what is shown in the gospels and Acts. As far as “healing classes,” go, no, Jesus did not advertise these types of classes. It was his investment in the 12 that equated to a graduate degree in the kingdom. So perhaps this is where the Last Reformation movement is straying from the path. I hope they are operating from a true spirit of discipelship in Christ, and not seeking to simply profit from the Word of God. But we do see in scripture Christ giving his disciples teaching in the area of casting out demons (“this kind can only come out with fasting and prayer” – Matt 17:21). We do see Him sending people out in pairs to do this type of work in His authority (Matthew 10). This type of authority was controversial in Christ’s time, and it certainly still is. But the authority is given by Christ to do these works. Torben is doing these works and always pointing back to Jesus as the source of healing. That might be the greatest testimony, if God gets the glory. Torben will be answerable to God in the end, as we all will. If, ultimately, the people in the videos do not find faith in Christ, forgiveness of sins, and are not discipled in that faith, then perhaps it is just a flashy show. But I pray this is not the case. The kingdom is real, and advancing. Let’s be supportive of people like Torben to use their gifts. Let’s be lovers of the Bride, the church, in all its gifts and callings. I will not support someone who is seeking after signs and not seeking the lost by preaching the gospel. Can one reform what is anti-Christ? Is that which is highly esteemed among men acceptable with God? Does the demonstration of power and miracles change men’s hearts? Does a ritual like water baptism? Torben Sondergaard believes and behaves as if these things are so, and many are duped by his sincerity. You might call the sinners prayer a ritual going by the same logic. It requires a person to speak and use energy confessing the Lord and asking him to be Lord and Saviour. The response of the sinners prayer was not the response to the gospel we see in the book of acts repentance and baptism was. This is not to say works save. Jesus saves and he said he who believes and is baptized shall be saved in Mark 16. Is it a work to respond to Jesus this way? Will I all of a sudden be able to boast to Christ and say I saved myself because I got baptized? Like if you were drowning in water and someone threw you a rope, would you boast to the man of your work grabbing the rope, and think to yourself you saved yourself by your work in grabbing the rope? This is how people make baptism out to be; a work to be saved. Except this is a work more in line with James teaching “Faith without works is dead, and so we have faith in Jesus, the Word who became flesh, who also in his Word commands us to go into the world baptizing. If it was just a symbol I would argue catholism, and all sprinklings of infant baptism should be accepted just the same, because it’s all just a symbol anyway. However read about what Paul said about baptism. It’s more then that, we are putting on Christ. Born of water and Spirit, as Jesus said. Thank you so much for your comment Christian. Thank You, for such a dynamic answer and insight. As I said to Jordan, I will not support someone who is seeking after signs and then posting all these supposed “healing videos” on You Tube and such. Jesus always sought privacy when healing and never did it for show and always tried to avoid big crowds when healing. Besides, with all the focus on miralces and healing, why not seek the lost by preaching the gospel as we’re commanded. Jesus said they will know them by their fruits and not by their gifts or miracles. That which is highly esteemed among men is an abomination to God? Does the demonstration of power and miracles change men’s hearts? Does a ritual like water baptism? Torben Sondergaard believes and behaves as if these things are so, and many are duped by his sincerity. Anyone offering “healing classes” and all who actually follow or defend him in any way,are simply NOT born again of the Holy Spirit of God. It is HIM in you that heals, it is HIM in you that teaches and guides you. Once you are filled with His Holy Spirit,that comes only after godly repentance of your sins, He leads you. How can anyone teach you to speak in tongues or how to heal, when that is a gift of the Holy Spirit of God, it cannot be “thought” by anyone else but Him and He gives you that ability/gift. Hello Nancy. Your comments are spot on and truly biblical. I am with you my friend…this movement is not biblical but man-centered. I ask you one simple question Jack Wellman, did you ever and Jesus is listening Jack, did you ever seek Jesus counsel at all in regards to the ministry of the last reformation, did you EVER EVER seek his wisdom in writing this or is this of the flesh? Do NOT I repeat do not respond in flesh but respond in what Jesus would say to you if you truly have sought Jesus council then you would redact what you have written here. This Ministry has changed my life and the countless lives of others. So if you are responding in the flesh then you will have your justifications but if you respond with humility and truth that Jesus has inspired the truths of the ministry and true nature of Jesus Discipleship then you will understand that the fight is not of flesh and blood but of the enemy deceiving your true nature and walk with God. I say this with every bit of spiritual discernment Jack. Blessings to you and may Jesus be abundantly clear regarding the ministry! Hello Matt. I am not answering out of the flesh. Not sure why you are judging my comments as such. We are commanded to contend for the faith once delivered, and by there being a “last reformation” this teacher is assuming there will be others and that the first reformation was not enough. I repeat, I am not responding in the flesh and haven’t done so to begin with, but you seem to indicate I am, even though only God knows our inward thoughts and motivations (1 Sam 16:7). We must contend for the faith once delivered (Jude 1:3) and Søndergaard considers baptism as part of salvation, and that’s one of oldest heresies there are. Another great error is that of the gifts. God gives gifts as He pleases for the Body of Christ, yet this false teacher teaches that all Christians need to be “kickstarted,” according to the Last Reformation; that is, they all need to be taught “to heal the sick, preach the gospel, cast out demons, etc. by taking them out and showing them how to do it” so what chapter and verse did this man get this teaching from? His own reformed Bible? Another unbiblical teaching of the Last Reformation is its focus on “deliverance” ministry, the idea of every believer being able to cast out evil spirits. Yes, spiritual warfare does exist (Ephesians 6:12), but there is no biblical command for Christians to exorcise demons and no biblical example showing exactly how to do it. If expelling demons were the job of every believer in Christ, then surely the New Testament would somewhere contain a command to do it or instructions on what to do. Again, please show us the chapter and verse. This cult is teaching that gifts can be learned, yet other questionable teachings of the Last Reformation concern an emphasis on the gift of tongues and Spirit baptism as separate from salvation. The Bible teaches that the Holy Spirit comes into the life of a believer at the time of salvation—if you are saved, then you have been baptized by the Spirit (1 Corinthians 12:13). Speaking in tongues was a gift in the early church (1 Corinthians 12, 14), but those tongues were known languages used to communicate the gospel. The Bible is clear that not all believers would have the gift of tongues (1 Corinthians 12:30). More heresies include the fact that Torben Søndergaard also teaches Holiness doctrine, believing it is possible to live sin-free and that freedom from sin is a product of baptism by immersion. Those who are baptized have the ability to live completely above sin. However, Scripture teaches something quite different. The apostle Paul speaks of his own struggle against his sinful nature in Romans 7:15–25. Biblically, we have no choice but to acknowledge that we still sin (1 John 1:10). To deny that we have any sin in our lives is nothing less than spiritual pride. You are in a cult my friend, Matt. Due to its emphasis on healings and tongues, its teaching of baptismal regeneration, its rejection of church leadership, and its seeking after new revelations, the Last Reformation movement is not biblical. Please repent of this and see the error of this false teacher. Many are being decieved in these last days and it appears you have swallowed a life, hook, line, and sinker. I am not responding in the flesh but with logic and reason and scripturally. I suggest this man get a true Bible education. He is decieved and decieving million, just as the Bible prophecied would happen in the end times. Repent of this my friend. Satan has his own ministers. I noticed that even while challenging the doctrine espoused by the Last Reformstion, you are listed as a contact on their map near Wichita KS. Your contact information on that map shows you have watched all of their teachings, attended a kickstart, and attended a 3 week Pioneer training school produced by them. Can I ask sir, if you truly went to such and extent to learn from them, why are you so vocal against them? If you disagree with their ways, why are you listed as a contact on their map? Isn’t this disingenuous sir? Hello Mathew. I have deleted it and it is still there and tried contacting them but it’s still there. I was signed up for one reason…I tried to contact someone who was caught up in all this and show them that they must focus on Christ and His righteousness (Matt 6:33) and that Jesus said that a wicked and adulterous generation seeks after a sign. I am not learning anything from them but trying to show those who contact me about it why it is not the gospel and those things are not we are commanded to do (Matt 25:25-26). Where are the posts by Mathew? Are you not showing all comments? What do you mean? Read the comments. Matthew’s comments are there. All comments show all the time. We do not delete comments unless someone asks us to do so. The truth about Torben Sondergaard is that after all his abuses and manipulations have been exposed on the Danish TV, he decided or as he says “God told him”, to flee Denmark overnight and leave the so-called Jesus center with not too much care about his followers/cult members. He is now in Florida trying to do the same as he did in Denmark. Hopefully the US authorities will not deliver him the resident visa he is looking for and he will have to go back to Denmark to face the court of justice in his own country. It’s about time ! Thank you Elisabeth. I pray this man repents of this farce and starts focusing on Christ and stop bashing the church. Previous post: How Can We Renew Our Minds?